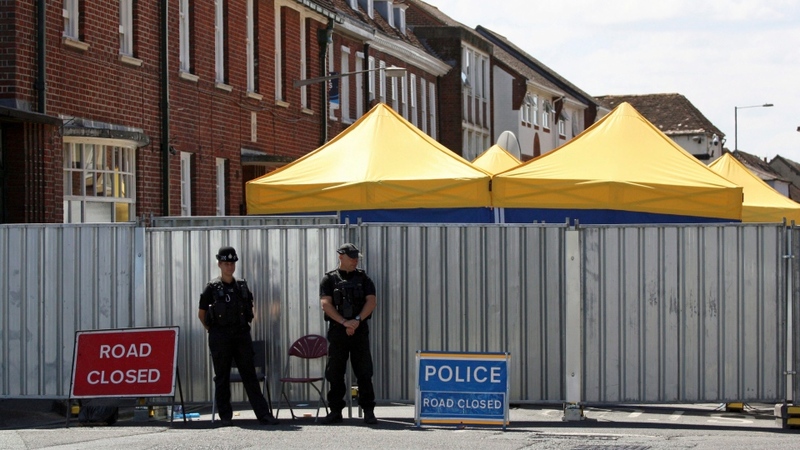 LONDON -- British detectives investigating the poisoning of two people by the nerve agent Novichok in southwestern England said Friday that a small bottle found in the home of one of the victims tested positive for the deadly substance. Britain's Foreign Office said Friday that the U.K. has asked the Organization for the Prohibition of Chemical Weapons to collect sample for analysis at its labs. The organization has the power to assign blame for chemical weapons use.